Philip Locker is the political director of the Kshama Sawant re-election campaign and a national spokesperson for Socialist Alternative. Kshama is up for re-election and has an approval rating of 61%, the highest among all Seattle City Councilmembers. 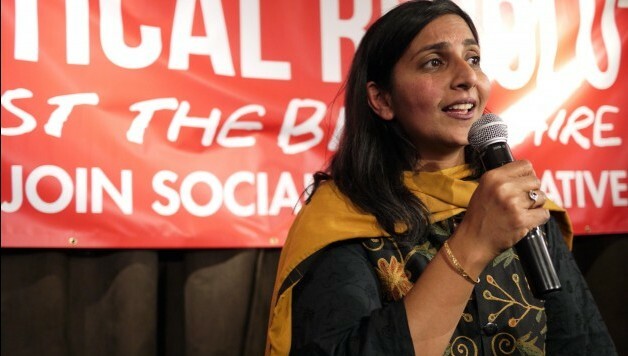 How likely is it that Kshama will be re-elected? I am confident that Kshama will be re-elected, given her strong track record of fighting for and winning real improvements for working people in Seattle. At the same time, there is no room for complacency. This is going to be an extremely hard-fought election exactly because of the importance of what we’ve been able to do, demonstrating the viability and value of independent working-class politics. Kshama’s record in office is an example that the big corporations and the Democratic Party establishment are absolutely determined to snuff out before it can spread more extensively. So, the stakes are high. Our enemies recognize, just as we do, that Kshama’s re-election will be an historic victory that will encourage and speed up the development of more independent left campaigns in Seattle and nationwide. We know the mayor and the Chamber of Commerce consider defeating Kshama their top priority in this year’s elections, and they are, of course, being clever about how they go about it. They are not running an openly pro-business candidate. Instead, they have recruited and are backing a candidate that is running as a longstanding community and civil rights leader, and president of the Urban League, who is running as a progressive champion, just like Kshama, with the exception that she is “collaborative” and will be able to get things done and be effective. What are the most important issues for workers in this election? The biggest issue is the crisis of affordable housing. Seattle has seen the fastest growth in rents of any major city in the U.S. There’s hardly anyone in Seattle who doesn’t have a friend or neighbor, or who hasn’t experienced for themselves, what we call an “economic eviction,” where you’re forced to move because the rent is increased by 10, 20, 50, and sometimes 100% or more. Unsurprisingly, real estate owners, developers, and landlords currently have a political lock on City Hall. The City government has spent years giving all sorts of handouts and special favors to billionaire developers like Paul Allen, while failing to stand up for tenants’ rights and small homeowners. Kshama is running on a bold platform for affordable housing, such as passing rent control, making the developers finally pay for affordable housing, and kicking them off of the gravy train of corporate handouts. She also supports very specific proposals to strengthen tenant rights, like mandating renters get a six-month notice before any rent increase of 10% or more and providing relocation assistance to people forced to move due to economic evictions from skyrocketing rents. But what I think has the greatest potential impact over the medium term is Kshama’s plan for building thousands of high-quality, city-owned apartments, to be rented at below-market rates as an affordable alternative to the out-of-control private housing market. Kshama’s campaign is playing a pioneering role, blazing a new path for left activism in the U.S. on housing. We can popularize and demonstrate the importance of having solutions based on social ownership with city-owned housing, as opposed to the dominant outlook, unfortunately, of most affordable housing advocates of trying to bribe and coerce private, for-profit developers to provide housing that will meet our needs. Why does Socialist Alternative call for building an independent political alternative to the Democratic Party, and is Kshama’s election campaign part of building an alternative? Absolutely. 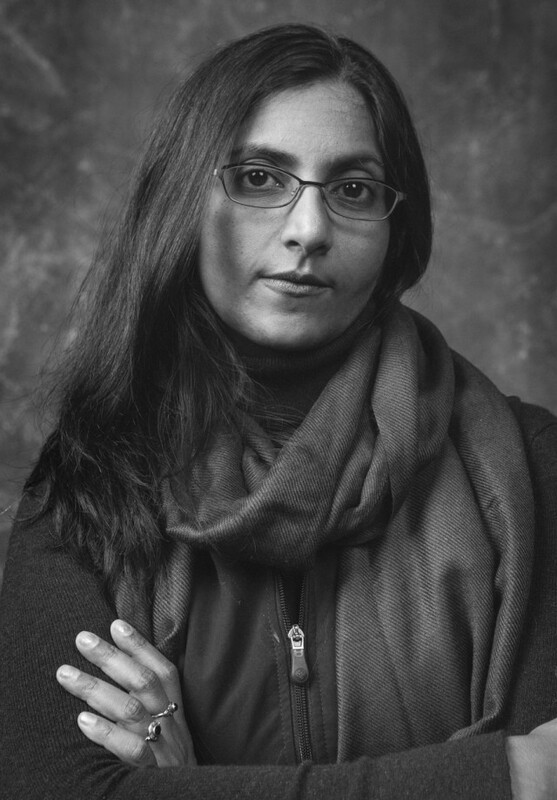 Kshama’s re-election is a critical battle for all those who support independent left politics in the U.S. The majority of workers and young people are absolutely fed up with our broken political system. Everyone knows that big corporations and the super-rich have bought the political system and both parties, Republicans and Democrats, to serve their interests. But, for working people, students, women, people of color – where’s our political voice? Who represents our interests in government? In Seattle, corporate politics take the form of the Democratic Party because this is a one-party town. Before Kshama was elected, the Seattle City Council was 100% Democrat, and it was this Democrat-controlled city council and mayor that were busy giving giant developers handouts year after year, while working people faced skyrocketing rents and stagnating wages. We hope the example of what Kshama’s been able to achieve here in Seattle – by taking on corporate politicians and winning, by basing herself 100% on the support of working people and refusing any corporate donations – will be replicated across the country. We want to use Kshama’s re-election to open up a debate among union activists across the country. Why are unions giving hundreds of millions of dollars to the Democratic Party, which is utterly subservient to the needs of Wall Street? Why aren’t the labor unions, civil rights organizations, environmentalists, and progressives uniting around running our own independent political representatives, rather than supporting this or that version of establishment politics? 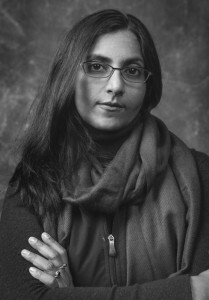 What are the lessons from Kshama’s campaign in relation to the fight for $15 in Seattle? Too often, activists fall for the trap of thinking they have to tone down their agenda and fit in with “normal politics.” Rather than reducing our appeal, left-wing candidates will be able to tap into greater reservoirs of support by boldly going up against the political and corporate establishment. The fight for $15 only underscores this point: there was far more enthusiasm and willingness to struggle in Seattle for a bold increase, for a $15 minimum wage, than for the timid and extremely limited proposals coming from the Democrats locally and nationally. Now we see a number of local politicians supporting $15, but they are reflecting the pressure of the movement we built. Either way, Walmart and McDonald’s will vigorously oppose any serious wage increase. So, the key is to put forward demands that will mobilize the maximum effort form our side to overcome their opposition, which is what $15 has done. To really change things, we need to inspire the majority of low-paid workers, students struggling under massive debt, and other activists that our campaigns are worth them investing their time and money in, because we are fighting for significant change that will really make a difference in their lives.